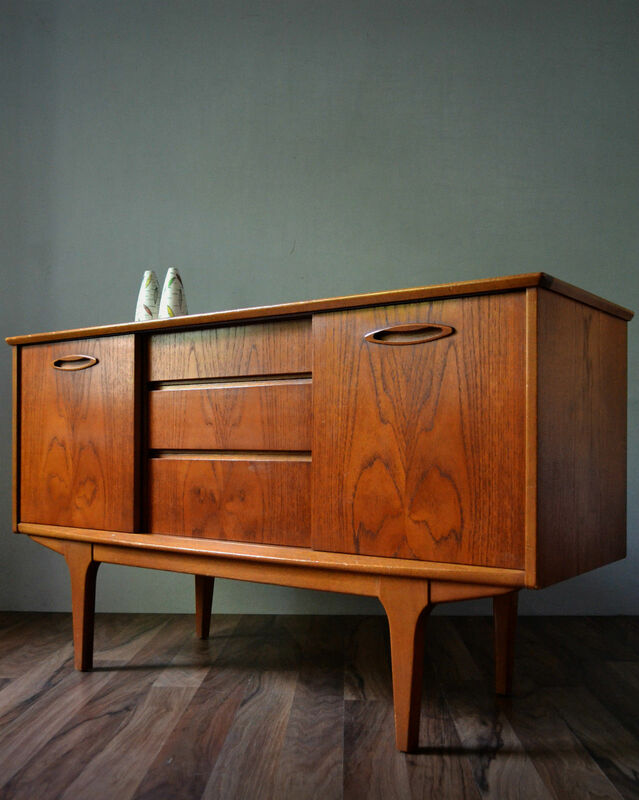 Stunning compact mid-century teak sideboard with two cupboards with sliding doors and three graduated drawers in the middle. The sideboard stands on brass cup feet with tapering legs and is finished throughout in a very attractive figured teak veneer. Very good vintage condition, some minor signs of wear. Please refer to photos.